Audioboom / Adolf Hitler the Radical Anarchist: "Black Earth: The Holocaust as History and Warning" by Timothy Snyder. PART1of3. 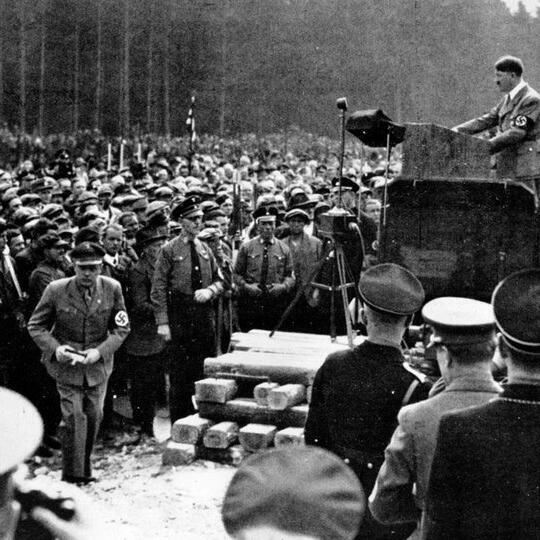 HOUR FOUR (Photo: March 21, 1934 - #Hitler speaking at the opening of the "Spring labor battle" Hitler exhorted, "Workers begin...!"‬.) Adolf Hitler the Radical Anarchist: "Black Earth: The Holocaust as History and Warning" by Timothy Snyder. PART1of3. #Hitler's anarchism to destroy all states, including #Germany, as inferior institutions and Hitler's radical race theory to destroy the Jews as non-human. Kudlow For Connecticut: 12/8/15Hr1: Larry Kudlow. Bill Whalen. Veronique de Rugy. 1932: The Rise of Hitler and FDR--Two Tales of Politics, Betrayal, and Unlikely Destiny by David Pietrusza. PART 3 of 6.